Happy New Year to you – I hope it was really great and your Christmases too. And then a huge “HELLO” to a fresh new year – 2019! As a kid of the 80s, the year 2019 seems so massive to be here and yet I still feel pretty young – time is such a weird concept don’t you think?! We saw the new year in at my in laws as per tradition. After our annual trip to the North Yorkshire Moors Railway, we came home and partied til the early hours flopped! We sat and chatted, played a few games, and none of us ever really found the motivation to get up, change into our “new years attire” and dance – it was pretty funny really, and a sure sign of our ages! We did however manage to make it to midnight, and I love watching the epic fireworks in London on TV. From here we watch our own epic display that a couple of Nath’s brothers do, and then it’s usually off to bed! 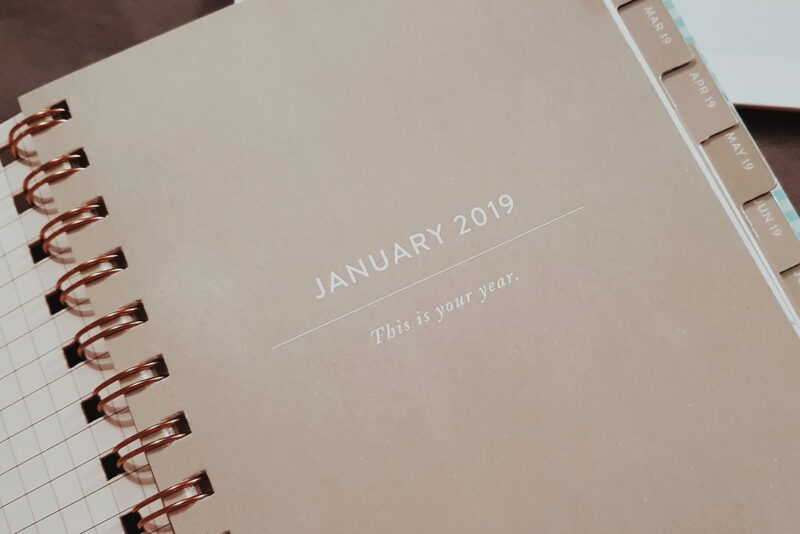 I have been thinking a lot over these last few weeks about what my hopes for this year might be … what goals I might have and what experiences I would like to chase. I am a great believer in goals and their ability to move us forward in life. I think goals are necessary to build us, help us reach our potential and build our self esteem, whilst creating experiences and learning in life. It is something that I have practiced a lot over my teens and twenties, however saying that, year on year I seem to write a massive list of new years goals (a lot of which are the cliche ones of weight loss etc) and every year, when I don’t do so well I beat myself up a bit and wind up feeling like a bit of a failure a few months in (please tell me I am not alone in this?). As this cycle is obviously not good for my well-being and mental health, my increased awareness of this fact has meant that I have been wondering “Why do we do it?” ! Why, because the calendar flips, each new year do I suddenly feel that I need to be slimmer? or more successful? or run a marathon when I hate running?! I have spent the last few weeks, and these first few lazy days of January, just thinking about what do I, for me, want to do in life and this year? I have even thought about not setting anything specific but just say ” I want to have more adventures, and I want to compare myself less to others” (both things I do want to do) but I also don’t cope well with non specific things either and having no direction. 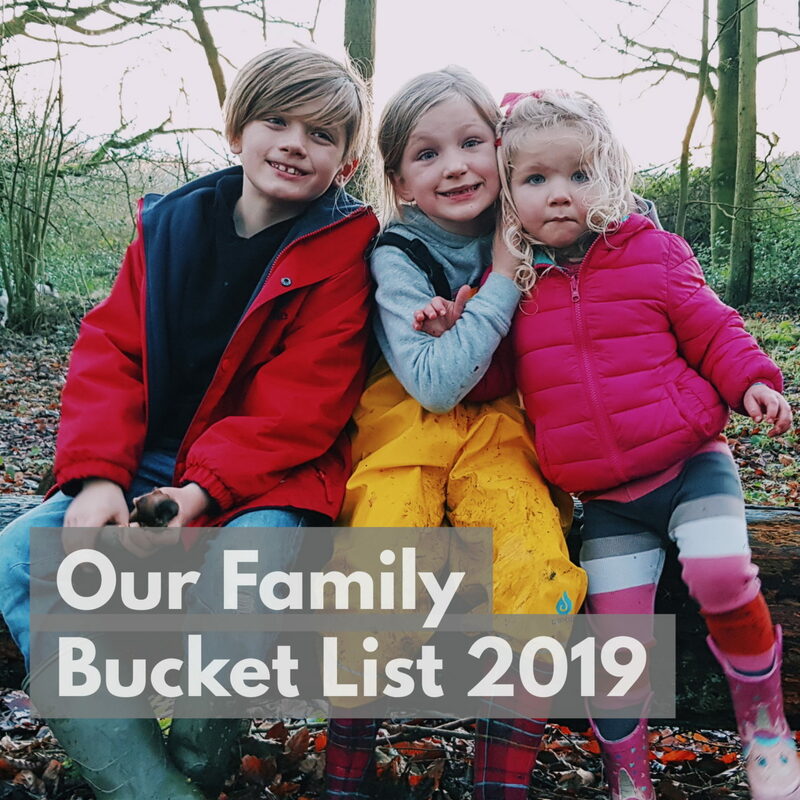 SO… this year I have done 2 things – set some specific goals for me that are measurable and not too much pressure to be anything more than I already am (helping me to embrace my already fabulous self), and I have also continued with our annual family bucket list for our family to live life to the full and have new experiences together. I love creating a family bucket list each year, and then smaller ones throughout each season. Whilst we rarely do it all, it does give us some dreams to follow and ideas of things we might like to do in the coming 12 months. I love them because if we don’t get around to it, that’s totally okay too because it can just roll over on to the next years. 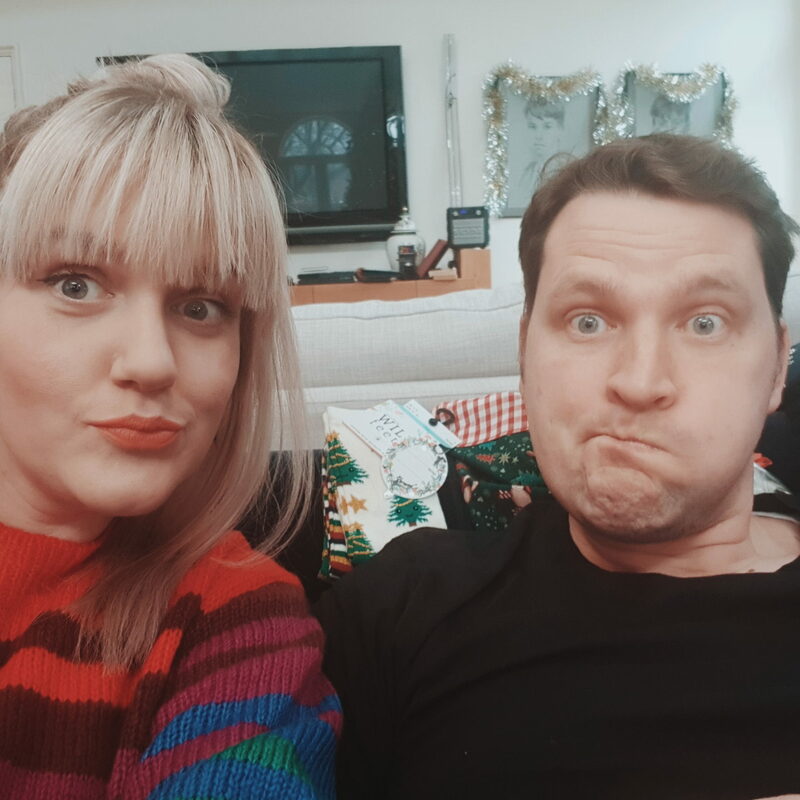 This year, not the kids are older, they were more involved and I asked the kids 3 questions as I put it together – Where do you really want to go as a family? Should we have a beach or Lake holiday in the Summer? and What is something new you would really like to try this year? Ethan said he wanted to go to Legoland for his birthday, try going on a speed boat, go swimming and do some Archery. Megan wanted to try fishing (?!) 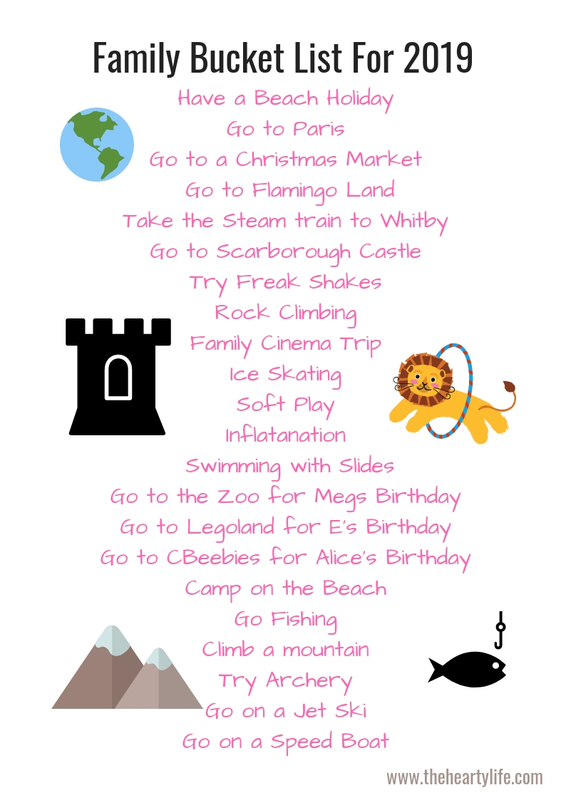 have a soft play trip all together, go to a zoo & Pizza Hut for her birthday, and go Ice Skating. Alice would love Cbeebies and shouted “yes” at soft play, so that’s her input! My personal goals have been no where near as easy as creating a family bucket list. Setting goals just because it is January is something I am trying to step away from because throughout the year I have things I am always trying better at and working on – like trying to drink more water, eating better, studying the scriptures more, be more present and shout less with the kids. And then I need to potty train Alice as well as finish my course/do well in it! And I realise that many of these are things I am working on, but are more “ongoing aspirations” that I may master for a time, but life may prevent from being consistent habits too, and I am now at a point where that’s okay – do what you can. I don’t need to have them as yearly “tried and never quite did 100%” goals on my list. They are not things I can always manage to do well (just a little better some days and not so much others) so if once a month I eat more rubbish and chocolate, or I have a bad parenting day and end up yelling at the kids, or miss 2 weeks of no reading – then thats fine and that’s totally normal – I didn’t fail at any goals and I don’t need to feel bad about it, I can just try to be better at it the next day or in a few days time. This year I really just want to get into the mindset of living more in the moment and seeing these lifelong things as “you tried your best this week/this month with that, and that’s good enough”. I am a working progress (we all are) and I am not always going to manage to do it all and I don’t want to feel guilty for not always eating the best things if it’s what I fancy that day. I also want to be more appreciative of my life and what we have, instead of comparing to others so much (which is so easy to do sometimes). I basically want to unapologetic-ally be me and be okay with that!! Again, whilst these are all hopes I have, they aren’t specific goals that can be measured and then ticked off as completed. They are each working progresses that are more easier in some seasons than others, and I guess what I am trying to say is that in the past I have fallen into the trap of setting random/cliche goals because it’s the thing to do, or I feel like I should and I have also often set things that are desires as my goals – rather than differentiating them and seeing them as “ongoing aspirations” and lifestyle adaptations. Work on the family Bucket List! Sort out 72 Hour Packs for us all and 2 more months food storage. These goals are a little more airy and are more ongoing things. They are tracked on a spreadsheet, so I have some idea of my progress with them, but in a nutshell, I would just like to continue to make more money so I can work from home and treat the fam. I would also like to increase my stats (so will work to build traffic and produce better content) and I would like to write more about the things I love and find joy in. I am happy that for the first time in years these goals are pretty specific, measurable and are all things that don’t put pressure on me to be a certain way or to be something I am not/don’t desire. I am embracing “me” this year whilst trying new things and growing more, whilst continuing with things I started last year, and that feels good. I am going to be enjoying life for what it already is, whilst adding to it with more time for me and more family adventures – which makes me so happy. I want to have more memories made and more experiences embraced together, whilst letting go of looking outside at others and being a certain way because everyone else is talking about that or doing that too. I want to live life for me, eat well for me and for us to be aiming for things that are right for our family (and find more joy in that). I hope that by not putting so much pressure on myself, or setting unrealistic goals I can find more happiness in day to day life with my little family. And I also hope that I can see more of me evolving into how I envision myself. 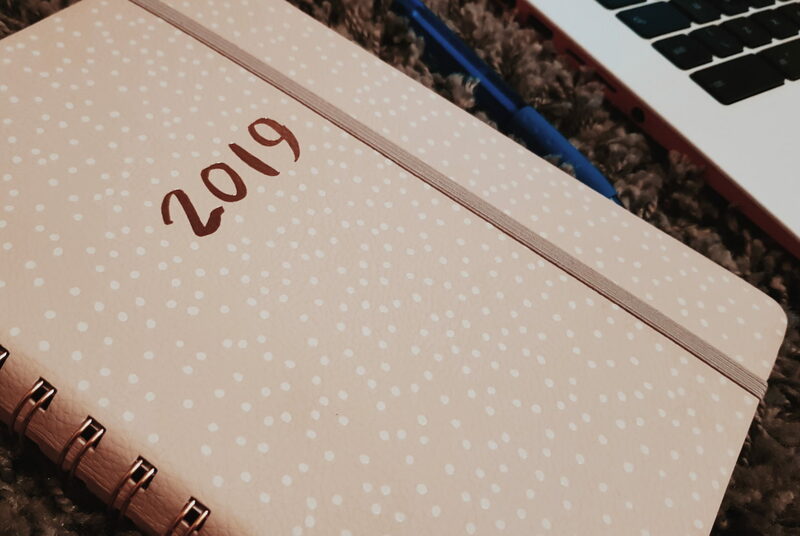 Set goals if you want to, but think about why you are doing it and how you feel about that thing you are aiming for… maybe just start with a small family bucket list of one new experience a month together, or a goal to try something new. Maybe the goal is to survive this month because life is so hard, or to get rid of negativity in your life. But whatever you set your sights on for this new year, be sure to be you and do it because it will enhance YOUR life. And don’t beat yourself up if you don’t quite make it. We each have our own journey and we have to figure out what works for us and what will make us happy. We should start a monthly book club!!! Great work on making these more specific and measurable – that’ll help loads. Love how they’re broken into key areas to help focus on. Also – LOVE the planner. Where is it from?